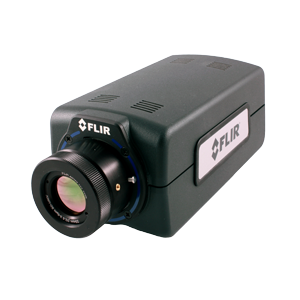 The FLIR A6750 SLS is a Standard Definition Longwave Infrared Cooled Camera that allows for shorter integration times, wider temperature ranges and very low noise. Working in snapshot mode, the FLIR A6750sc SLS is able to capture all pixels from a scene simultaneously in under 190µs for room temperature scenes. This is particularly important when monitoring fast moving objects where an uncooled thermal imaging camera would suffer from image blur. The camera supports image frame rates up to 4.1k frames per second when operating in windowing mode. 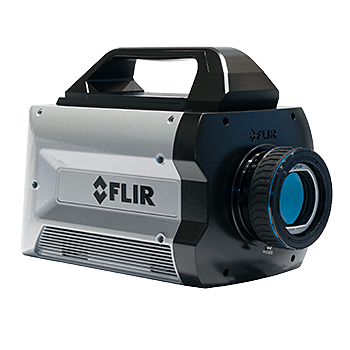 Using a standard GigE Vision® interface to transmit full dynamic range digital video, and GenICam for camera control, the FLIR A6750sc SLS is a true “plug and play” thermalimaging camera. Additional interfaces include a BNC analog video output. The Gigabit Ethernet and analog video are simultaneously active yet independently controlled allowing greater flexibility for recording and display purposes. Custom cold filtering options for specific spectral detection and measurement are available. 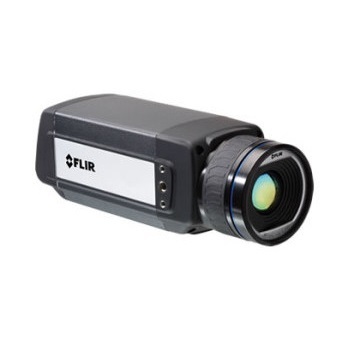 FLIR A6750sc SLS camera works seamlessly with FLIR ResearchIR Max software enabling intuitive viewing, recording and advanced processing of the thermal data provided by the camera. A Software Developers Kit (SDK) is optionally available. 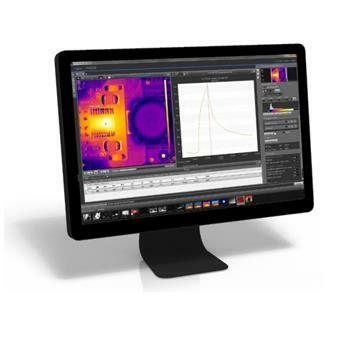 Control the A6750sc SLS and capture data directly into MathWorks® MATLAB software for custom image analysis and enhancement.